I've pretty much failed my closet remix challenge. But I've learned a lot through the challenge. Mixing up outfits is tons of fun. I've worn things together that I typically wouldn't. I've enjoyed looking for new ways to combine items that I already own. I had high hopes for myself. Hopes for zero shopping in January and even bigger hopes to make it to March without buying anything. But this is the reality. I love shopping. It's my hobby. Some people spend their extra money on fitness, sports, crafts, books, or smoking. Shopping is where I spend my extra money. We have a pretty strict budget at our house since I only work part-time. I have a spreadsheet and I allocate our money to bills, spending money, dining out, giving back to Jesus, etc. We rarely dine out but I have money set aside for us to do so if we need/want to. This month I did pay off a bill that was lingering over my head. It feels great to have that taken care of. But instead of not shopping, I'm sticking with my mindset of moderation. This was my mindset before the challenge but I wanted to challenge myself to use what I had differently. That mission was accomplished and I'm reminded that with all things, moderation is most important. 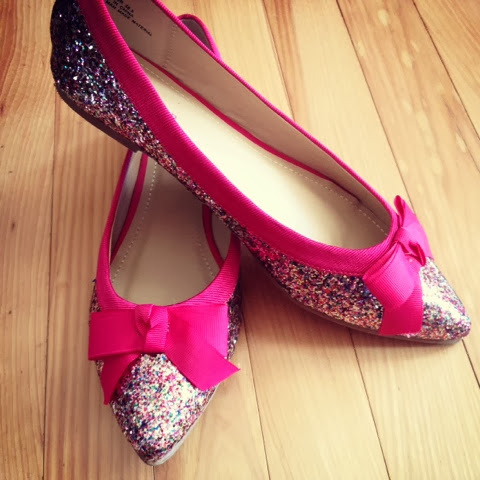 One of my January purchases were these adorable glitter bow flats. They have my name written all over them. Pink. Bows. Glitter. I got a great deal on them. They retail for about $40 + shipping. I paid about $20 with free shipping. But not without a hassle. Haha! They are from Just Fab. I signed up for the VIP Membership to get them for the discounted price knowing that I could cancel that membership right after they were delivered. I called as soon as I got them to cancel the VIP Membership and the lady literally tried to talk me out of cancelling for about 10 minutes. Even though I interrupted her every minute or so telling her I wanted to cancel. It was just laughable. She was working so hard to try to get me to stay. I hope she convinced someone else to keep the VIP Membership! But back to the shoes... they are adorable. They ran big so I ordered a size smaller than I normally wear. I can't wait to style these pretty shoes! Glitter AND bows. Total package. 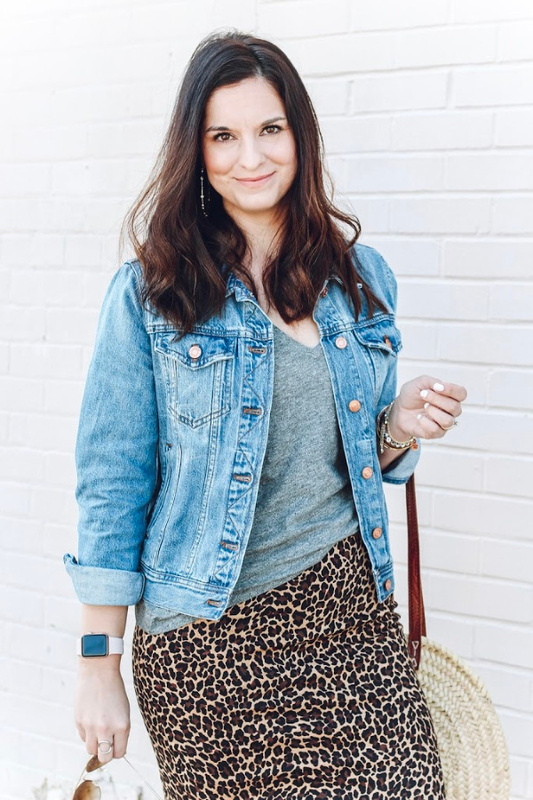 I absolutely adore your blog Emily!